Ollie Weaver is an illustrator and designer currently in his second year, studying BA Illustration over at Camberwell College Of Arts (UAL). 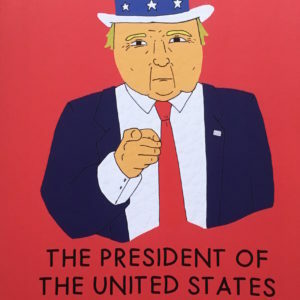 Currently working with children’s books, he has been blending humour and pop-culture references with deep and important subjects to create very original books for all ages. Also working with large scale prints, Ollie wants to bring his imagination and love of various cultures into his practise, aiming to constantly produce pieces you won’t see at your average exhibition.